Visitors in Guatemala often remark about the passion for life that many Guatemalan people exude, a hopeful outlook despite severe conditions of poverty and insecurity. Is this a faulty perception, a stereotype that romanticizes the poor so we can fool ourselves into thinking that nothing needs to change? Of course, not all Guatemalans are don’t share the same outlook. Some resign themselves to injustices and a meager existence, perhaps finding comfort in vices like alcohol, or even using some forms of religion as an escape. Yet, for there are plenty of Guatemalans whose passion for life is genuine. An active faith often fuels this. Another thing is a yearning for education. The streets of Cobán bustle each day with exuberant young people making their way to and from classes. Behind these students are parents who are passionate about seeing that their children prosper in school and, consequently, in life. The Prophet Isaiah told God’s sinful people to “learn to do good.” (Isaiah 1:17) Presbyterians in Guatemala are busy applying such Biblical principles, promoting education as a key to a meaningful life. In many cases, partners in the United States come alongside the Guatemalans, encouraging and supporting these efforts. Almost every international partnership I facilitate has education as a top priority. Projects include tuition scholarships for needy youth, school supplies for public schools, resources for teachers, room and board for students away from home, sponsorship of a learning center, travel funds for theological training, as well as support for the Presbyterian Complex in Cobán, which has a strong educational component. A specific example is in the Petén Q’eqchi’ Presbytery (PQP), which partners with the Presbytery of Middle Tennessee (PMT). For the past year, women of the PQP have gathered in Sayaxché for training in animal husbandry, basic economics, and organizational skills. Each time Bety Cifuentes and I have traveled to facilitate this training. Bety, a Presbyterian deaconess from Xela, has a long-history of enabling women across the IENPG. Recently, women representatives from the PQP’s 7 churches met with Bety and me for another day of training and fellowship. In all there were 33 adults plus 10 children. The first order of business was lunch preparation behind the church, which meant butchering the 6 chickens and 1 duck brought by the women (see photo). Then, while the group watched over a kettle of soup, Bety outlined duties of officers in the Presbiterial and the process of elections. Meanwhile, I met with the PQP’s executive committee to discuss, among other topics, a growing scholarship program for middle school students that’s been developed in partnership with the PMT. After lunch we joined together in the temple for a report from each society on their pig projects. 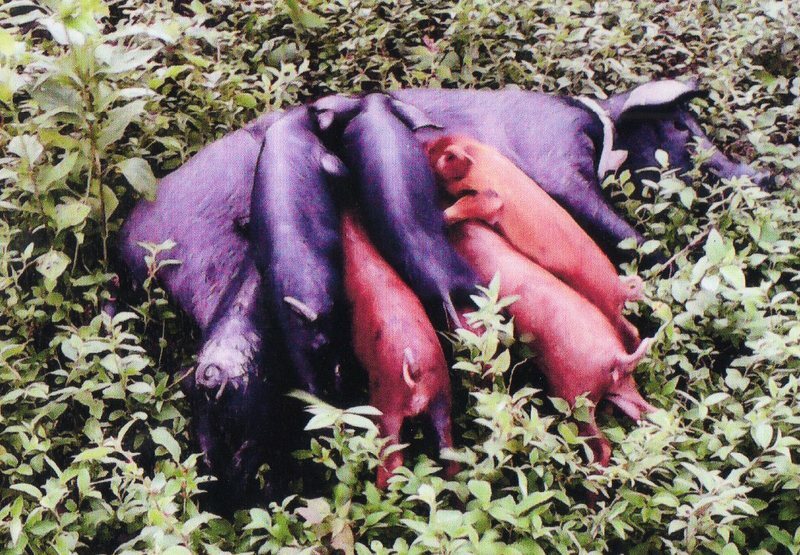 (see photo of some of the pigs) In 1 year the women showed a profit of Q 8,090 beyond an initial investment of Q 10,500. These profits were then disbursed to ministries of the women and the presbytery. 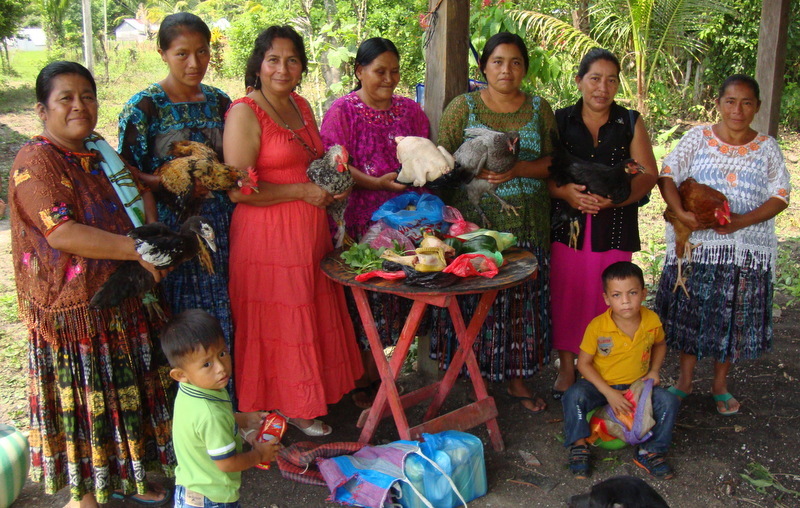 Six of the 7 women’s societies chose to repeat the stewardship project. Thanks to God for stirring up this passion for doing good, and to Christ’s faithful servants for helping each other life well.